This is your last chance to play for a chance to win a grand prize trip to next year's PGA Championship. 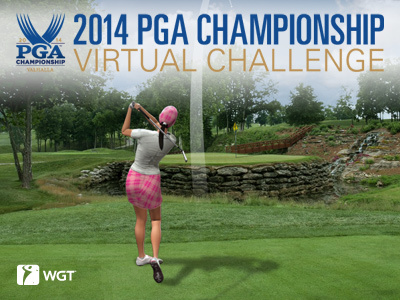 Make sure to post your score in the 2014 PGA Championship Virtual Challenge tournament by Sunday, 8/31. Both the leaderboard winner AND a lucky sweepstakes winner will each win the grand prize trip for two people to the 2015 PGA Championship at Whistling Straits. *Tournament is free to enter, open to WGT players in all countries and runs now thru 8/31/14. See rules for prize eligibility. ESTIENNE and frenchconnect have posted impressive Round 2 scores to take the lead in this month's Virtual Tour event, The First Tee Open on Bethpage Black, with ESTIENNE winning the tie-breaker. They have replaced the previous Tour Legend leaders after Round 1, poldimaier, FarFoo, fmagnets and tinybo, who have also posted their Round 2 scores. However, several Tour Legends are still in the running with strong Round 1 scores and Round 2 not posted yet, including bawbag1874, Mannyankees, bhoese, dansamcam (gotta love the consistency), demcug, CptWomp, AgentBrown123 and natemakesaholein. That's a lot of competition! As it stands now, the current September results would shift the Virtual Tour Season standings for all the Tiers, and the third Major of the year is just around the corner in September with a double credit purse. Remember, the Top 64 players in each tier (Pro thru Tour Legend) after November will qualify for the Virtual Tour Championship in December, with a record ONE MILLION WGT Credit purse...you don't want to miss that! This week's Country Club of the Week is... the Senior Citizens, currently in third place on the weekly leaderboard with almost 265,000 XP. The Senior Citizens country club has consistently been in the top 5 since the new WGT Country Club features were rolled out, which is impressive considering the number of active clubs playing that includes thousands of WGT players. At Club Level 6, they have unlocked a number of country club benefits, including a free Putter Pal and Shot Pal for all of their members, and earning +5% Club XP when members play using a Pass. You can earn the same benefits with your club as you continue leveling up. The Senior Citizens club owner, ForeverHackin, is a Level 96 Legend in Ecuador and has only good things to say about his active club, some new insight -- plus a recruiting message for anyone interested! "I've always known we were an active club, but until WGT gave us the ability to actually track a club's activity, I was quite surprised that we've managed to stay in the top 3 so consistently. It's a real pleasure to manage our club. We maintain a friendly, helpful and active atmosphere in our forum and during games. If you're an active Senior, I invite you to come check us out." The current Weekly Leaderboard below shows the Senior Citizens in third place -- right on the heels of another consistently high ranking club, The old duffers retreat, and last week's CC of the Week, The Peoples Club, who are in first place again. Haven't joined a WGT Country Club yet? Visit the Country Clubs page to learn more and find the right one for you. Just post your score in the 2014 PGA Championship Virtual Challenge tournament on WGT by Aug 31st. 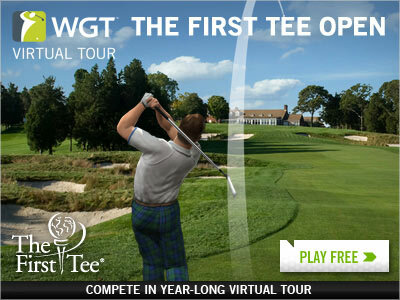 Get free virtual club rentals on WGT this Saturday and Sunday during The Barclays. 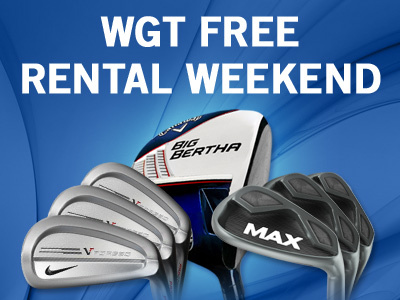 While the pros kick off the FedExCup Playoffs this weekend, log on to WGT and try the popular Callaway Big Berthas, Nike VRS irons, MAX irons, and the latest PING G25, i25, Tour Gorge and Anser 2 virtual clubs – all free to rent! 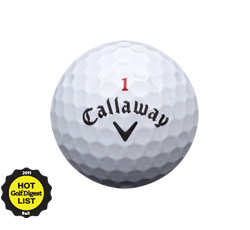 Find the club you want in the Pro Shop and click the RENT or TRY ME button and it's yours free for 24 hours. You can rent and re-rent as many clubs as you want for free, Sat-Sun 8/23-8/24. Be sure to post your Round 1 score in The First Tee Open by 8/26 in order to qualify for Round 2. The top scores in each tier this month will split the purse of 200,000 WGT Credits, and add to their Virtual Tour season standings. The top players in each tier in the 2014 Virtual Tour season standings will qualify for the Virtual Tour Championship in December -- with a record purse of 1,000,000 WGT Credits -- yes, one million. After the first week of playing all the new WGT Country Club features, we've seen many clubs (including thousands of WGT players) earning XP and leveling-up on the leaderboard. This week, The Peoples Club is currently at the top of the Country Club Weekly Leaderboard, having earned more than 300,000 XP. They are the first to reach Club Level 6, meaning they've unlocked the club benefit that earns +5% Club XP when members play using a Pass -- and this is just the latest benefit they've unlocked. At Club Level 2 all of their members got a free unlimited Putter Pal, and at Club Level 4 they all got a free unlimited Shot Pal, plus other XP bonuses and more. Visit the "Benefits" tab in the Country Club menu to see what your club will earn by leveling up. There are a number of clubs at Level 5 who are working their way up, including the Senior Citizens, Eagle Club Golf Association, and those old duffers again! "My members are a great bunch but they even surprised me by getting us to the top of the tree after the first week by such a large margin. It's a great time to be playing WGT what with more country club improvements just around the corner and new courses on the horizon." Keep up all the great work everyone! Your club and fellow club members appreciate every little bit that you contribute. The best WGT players and real-world golfers know that more spin provides more control, leading to shorter putts, more birdies and lower scores. Add more distance and style to your drives on WGT with the new Cobra BiO CELL virtual driver. 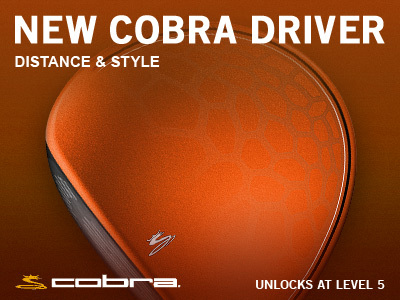 The Cobra BiO CELL virtual driver unlocks at Level 5 in the WGT Pro Shop. 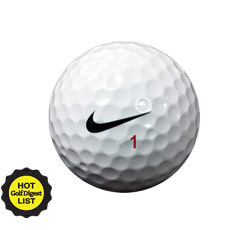 Go longer on all your shots with the newest virtual golf balls from MAX on WGT. The new MAX Distance golf balls feature the maximum amount of distance, to help you hit farther and shorten your approach shots. 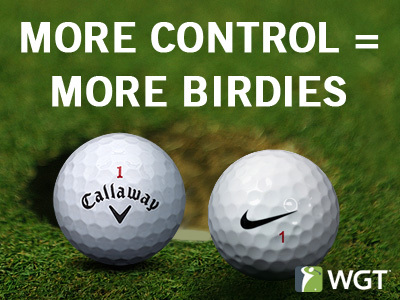 You'll give up some control with these, but you'll crush your drives! 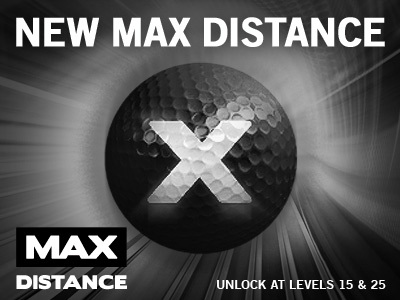 MAX Distance virtual golf balls unlock at Levels 15 and 25 in the WGT Pro Shop.